The third episode of Outlander touched on a subject that I've been thinking about ever since I heard that Ron Moore (Star Trek, Battlestar Galactica) would be helming this series: does this story qualify as science fiction? Clearly the time travel element suggests futuristic technology or a rift in time, the kind of things one might expect from science fiction. But the main theme of this episode seems to underline the primitive ignorance of the locals and the strong elements of mysticism and magic of the times. Ghosts and witches are not just words here; people truly believe in them and are terrified of that reality. The introduction of Father Bain (a creepier religious leader I never hope to see!) serves to underline that faith is in charge here, not science. Claire's medical skills seem like miracles or the work of the devil, and she is faced for the first time with how dangerous life can be for a woman of above-average education who refuses to learn "her place". Even Mrs. Fitz, no mean healer herself, struggles against her own religious ignorance and intolerance and nearly lets her nephew die rather than admit the priest might be wrong. Claire is ostensibly Catholic, but with a healthy dose of modern skepticism. She is often caught off guard by the blind devotion and literal interpretations of the people of the 18th century. In many ways, Jamie is becoming a bridge for her between her present and the future, able to translate the beliefs and behaviour of the locals in a way that she can understand. Jamie is an educated man; he attended university in France, he speaks several languages and is well-read. But as he points out, he is also a Highlander, raised on the myths and legends of ancient Scotland as well as the tales of his Catholic faith. Folk tales of giants and silkies, magic, miracles, women vanishing through fairy stones, and Gwyllyn’s song telling essentially her own story — Claire is surrounded by things that she can’t rationally explain. So is it magic or is it science? Did she fall through a crack in time, or was she kidnapped by faeries? Is it the work of God or the Devil? At this point in the story, it seems to be all about your perspective. Now, let's talk about flirting. It's been only a month since Claire last saw her husband in 1945, and while she definitely misses him, she also seems to be starting to enjoy herself; making friends and finding a productive way to contribute to the castle. Of course, she needs to fit in as best she can if she is to survive in 1743, but is she perhaps becoming too invested? Is her flirtatious behaviour wrong, a betrayal of Frank and hurtful to Jamie? Or is it natural, when so removed from reality, to simply fall back on old habits? She has an outgoing nature that is uncharacteristic for the time which draws attention to her, and clearly there is an attraction between herself and Jamie. And yes, he was kissing Laoghaire, and he knows that Claire saw them! But when presented with the option, he essentially ignores Laoghaire in order to spend time with Claire. She may intend only some harmless flirting with him, but is she risking hurting them both if she allows Jamie to fall in love with her? - Is it just me, or is Geillis Duncan trying as hard as he can to interrogate Claire without seeming to interrogate her? What is she after? - We get a taste of Colum’s dark side here, when he pulls a knife on his tailor. Colum does not believe that his physical deformity is something to be ashamed of, and goes out of his way to show his strength. His position depends on his people seeing him “whole”, and he does all he can to maintain that image. 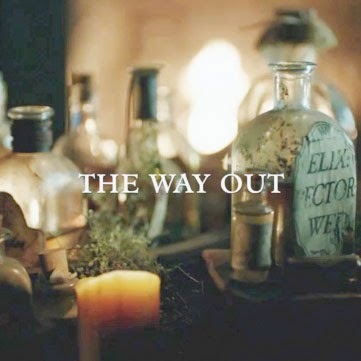 Read our recap of the next episode, Outlander Episode Four: The Gathering of Clan MacKenzie or the previous episode, Outlander Episode Two: Life at Castle Leoch.